Exactly one year ago, I began this blog with a picture of a hand drawn Christmas tree. It's been a lot of fun, and I hope to be a bit more regular with posting in the new year. In the meantime, I wish all of you a happy holiday! No fancy post today because I'm visiting schools in anticipation of a signing event at Mrs. Nelson's Bookstore in LaVerne TONIGHT at 5:00pm!!!! Come check it out. If you can't make that, I'm having my first LA signing tomorrow at Chevalier's in Hollywood from 1-3pm -- please, oh please come! I'll admit, not my finest work! What's the difference between irony and sarcasm? Most thesauri list them as synonyms, but anyone who's been on the receiving end of either type of humor can tell you the difference at once: ironic statements make you laugh, and sarcastic statements make you cry. Sarcasm happens when the observed irony does not extend to the speaker. Sarcasm is the one kind of joke that can be made by someone who does not actually find something funny -- it is humor for the humorless. In life, I have a problem with sarcasm because I don't believe that any person has the right to laugh at others unless he can first laugh at himself. And what about sarcasm in storytelling? To be clear, I'm all for sarcastic characters (I enjoy Holden Caulfield as much as the next guy!). But sarcastic authors are a different thing altogether. Sarcastic authors attempt to point out absurdities in the world, but they try to do it from a safe distance -- never letting themselves become a part of the joke. The only way to do this is by creating straw men for the express purpose of knocking them down. Ironically(! ), this ends up undercutting the author's initial goal, because now instead of critiquing the world, he is critiquing some flimsy characters who bear little resemblance to the world. The end result is a thing neither funny nor true. The above picture is one I drew in church last week. My whole life, I've drawn in church. My father was a pastor when I was growing up, and my mum understood that drawing can help right-brained people concentrate.[1. My mum never wore the "pastor's wife" hat too comfortably. More than once she was confronted by ladies in the congregation for wearing too much black.] And so every Sunday, when my father started his sermon, she would pull a box of art supplies from her purse so the two of us could draw. Drawing can have a powerful meditative effect. My mother's work -- which she affectionately refers to as her "knittings" -- elevates this idea to a new level. Each painting represents hundreds of hours of meticulous, repetitive mark-making to build textures. All of these large-scale paintings began as tiny "knittings" worked out in small notebooks, sometimes in church. "Drawing in my sketchbook is the very best part of my work. I love it because it is linear improvisation. Much like jazz, it is unpredictable, exciting and unfiltered. Often with very good and very bad results. I attend church every Sunday, and I draw during the sermon. All of these pages were done in a pew (though I don't bring my watercolors with me- that waits till I get home). Simultaneous drawing and listening transforms familiar language into something new- a feedback loop of symbols, theology and wonder." College also happens to be when I started to become a better student -- my grades went up, and I started to take a more active role in what I was learning. I don't think that's a coincidence. I can't help but wonder whether there are kids out there struggling with school who might be helped by being given a box of art supplies? I recently stumbled across commenter Lisa's new word blog This Wretched Hive.[1. The title of Lisa's blog makes me think all blogs should be named after things Obi Wan said.] Lisa writes smart, succinct posts about words old and new. One of my favorite pieces discusses portmanteaus. Portmanteaus are words that combine two different words to make something new: televangelist, spork, interrobang, etc. Humpty Dumpty's theory, of two meanings packed into one word like a portmanteau, seems to me the right explanation for all. For instance, take the two words "fuming" and "furious". Make up your mind that you will say both words, but leave it unsettled which you will say first ... if you have the rarest of gifts, a perfectly balanced mind, you will say "frumious". 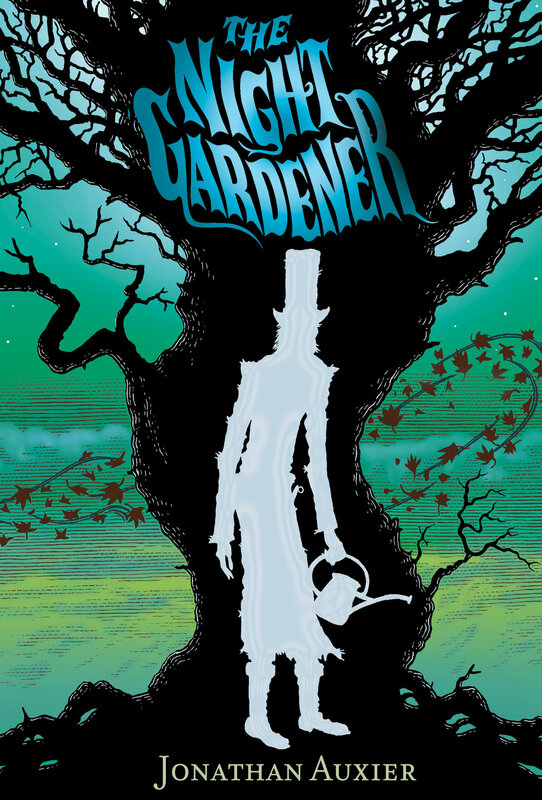 Carroll is referring to something Humpty Dumpty says in Alice in Wonderland[3. "You see it's like a portmanteau -- there are two meanings packed up into one word."] in order to explain how a reader might be able to decode the made-up words in his famous nonsense poem, "The Jabberwocky." A few years later, while scouring footnotes in Martin Gardner's Annotated Alice (which I read nightly for over a decade), I discovered that Alice in Wonderland was actually the first time portmanteau was used in this linguistic sense. Way to be awesome, Lewis Carroll! Congratulations, Sarah and Jake. You kids deserve every happiness. A few months back, my editor and I were caught in a heated "discussion" regarding a certain passage of Peter Nimble.[1. My editor has a pretty low online profile, so I'll respect that by not publishing her name ... of course if you reallywant to know who she is, it's printed in back of Peter Nimble!] Essentially, she wanted me to remove a paragraph on the grounds that it slowed down the action. Understand that I am usually very eager to rip apart my own work in response to a note ... but this particular passage was different.[2. In fact, both my wife and agent have at times argued that I can be too eager in this regard. Perhaps that's a subject for another day.] When I sat down to write a book, I essentially sat down to write this one passage -- and now I was being told to cut it out entirely! There were a LOT of phone calls, during which I would list countless reasons why these few sentences were necessary to the book. Every time she would say she understood my feelings, but that she couldn't in good conscience agree. Finally, after what seemed like weeks of back-and-forth, I tried cutting it out -- just to see how it read. When I looked over the final proofs of that chapter a few weeks ago, I was overwhelmed with gratitude. My editor is a busy lady, and I'm sure it would have been much easier for her to just let me have my way. But she stuck to her guns, and the book is better for it. Way to be awesome, Editorus Rex. - Carrier pigeons are monogamous. In fact, if you make a carrier pigeon think his mate is being hit upon by a rival, he will fly home even faster. - While many birds have a sort of internal compass, carrier pigeons have an internal GPS. This means you can knock one unconscious, ship it halfway around the world, and when it wakes up it will instantly know its coordinates. - There was a carrier pigeon in WWII named "G.I. Joe" who single-wingedly saved an entire Italian village. Pigeons, you have my heartfelt apologies. Behold the Library of the Future! After spending waaaaay too many hours with ink-stained fingers, I recently decided to drag myself into the digital world. This included buying and learning Adobe Photoshop -- a double-challenge as I am both stingy and lazy. I asked Mary what I should draw to practice, and she suggested The Library of the Future. 1) "The future library will be located in a spaceship. The spaceship will have blue tables and purple chairs. The walls of the future library will be green and magenta. Also, the future library will have many skylights." 4) "The library will have ninety thousand computers. The library will also have a café." 5) "If you have a book that is out of date, it will warp back to the library. It also allows you to warp to other libraries." 6) "Libraries will be floating in the sky. People will have their own planes to get there." 7) "As much as I love the library, I’m 100% sure future libraries would be even more awesome. Just think how amazing the library will be in the future, with robots and electronics." Awesome, right? I fit in pretty much everything but the iPads, which I sincerely doubt will be around in the future (unlike evil robots, which are fact). The more observant among you will notice that the above painting has a frame around it. That's because it is Art, ladies and gentlemen. Art that currently hangs on the wall of my office. And, as of yesterday afternoon, it will be kept company by another addition to the oeuvre. This year, I decided to tackle the art of engraving (on holographic foil, no less!).[2. The holographic foil is why the image looks funny (like any good artist, I blame all flaws on the materials).] The task took many hours, and when the flimsy metal "scraper thingy" became worn down to a nub, I turned to a 120v Dremel electric engraver to finish the job.[3. This is true -- my uncle has the best tool shed ever.] While traces of my earlier style are still present, I think you'll agree that my technique has grown to accommodate my conceptual ambitions. You're welcome, Art World. See you next year. "Now for those of you who know anything about blind children, you are aware that they make the very best thieves. As you can well imagine, blind children have incredible senses of smell, and they can tell what lies behind a locked door—be it fine cloth, gold, or peanut brittle—at fifty paces. Moreover, their fingers are small enough to slip right through keyholes, and their ears keen enough to detect the faintest clicks and clacks of every moving part inside even the most complicated lock. Of course, the age of great thievery has long since passed; today there are few child-thieves left, blind or otherwise. At one time, however, the world was simply thick with them. This is the story of the greatest thief who ever lived. His name, as you’ve probably guessed, is Peter Nimble." 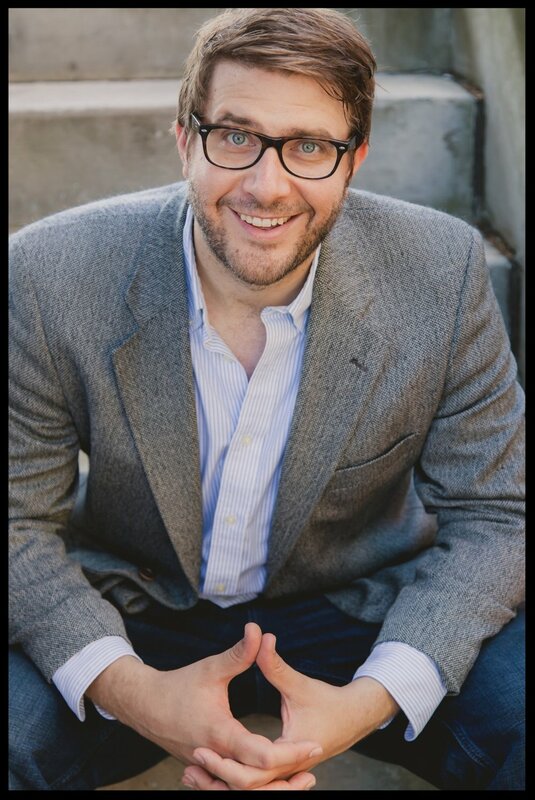 So begins PETER NIMBLE & HIS FANTASTIC EYES, the first novel from 29-year-old Jonathan Auxier. 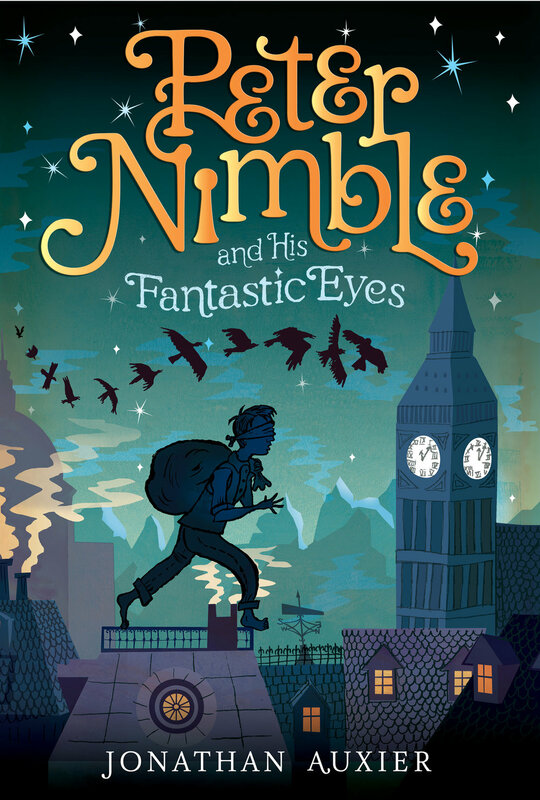 Overflowing with wit and invention, PETER NIMBLE is the utterly beguiling tale of a ten-year-old blind orphan who has been schooled in a life of thievery by his brutal master, Mr. Seamus. One fateful afternoon, as he's picking the pockets of townspeople enraptured by a traveling haberdasher, he "discovers" (steals) a box of magical eyes. When he tried on the first pair, he is instantly transported to an island at the top of the world, where he meets the maker of the eyes, Professor Cake. The professor gives Peter a choice: travel to the mysterious Vanished Kingdom and try to rescue a people in need ... or return back to his master and a life of crime. 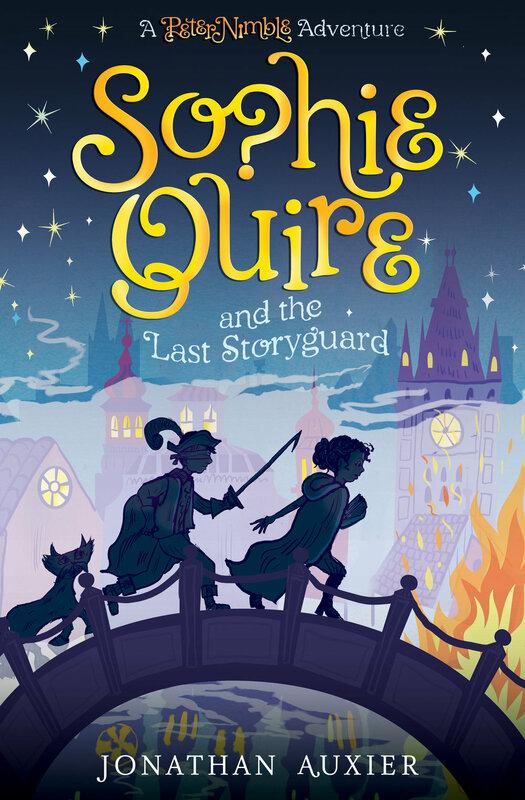 Peter chooses wisely, and together with Sir Tode, a knight errant who has been turned into a rather unfortunate combination of human, horse, and cat by a grumpy witch, he embarks on an unforgettable adventure in a book destined to become a classic. Don't be surprised if one of these things ends up in a book of mine one day. You have been warned. "The Camel" or "How My Friends Tried To Ruin My Writing Career"
A) "Laura F." suggested I put my hand under my chin so people know I have a heavy brain. B) When I asked my agent what to do, he mentioned how much he loved J.R.R. Tolkein's author photo and wondered whether I could do something like that. D) Matt B. suggested I try and mix in a little Oscar Wilde. G) Knowing my love for Shel Silverstein, "Rob O." wondered whether I should grow a beard like my icon. H) My wife, not wanting to waste her weekend, recommended I hire Olan Mills to take the photo. Scanned from my Fall 2000 journal ... Credit goes to my old friend Rob for this one: What do you get when you cross "The Simpsons" with Continental Philosophy? What's the moral of the story? Apparently, I'm no Socrates.